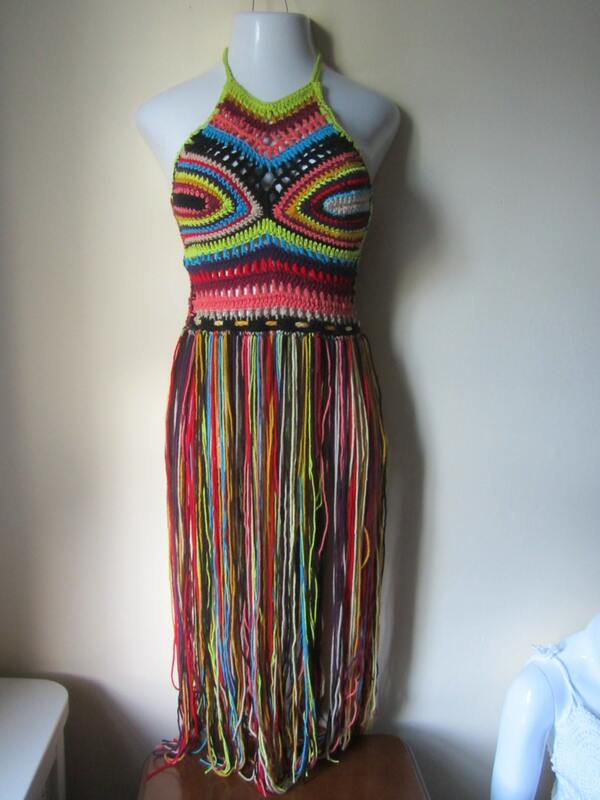 This is a festival halter top with EXTRA LONG FRINGES . It is the ultimately crochet halter top for COLOR LOVERS. I taped into my Africa roots with its love of vibrant colors and came up with this design. 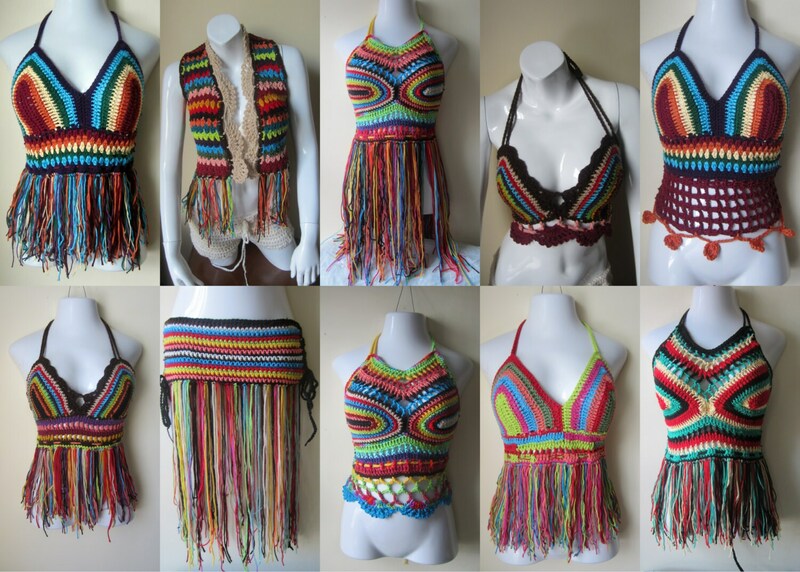 This halter top is perfect for festivals, summer days and beach wear. If you love festivals you do not want to miss this top. 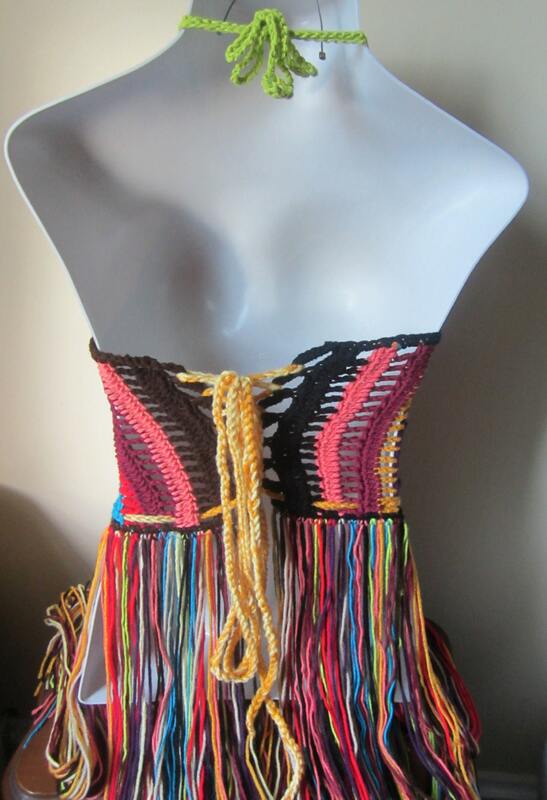 Top on display is a 34C and is 48-50inches inches long from shoulder to hem.